Ruth Langsford has spoken openly about the side effects of the menopause in the past - one of them being her thinning hair. In interviews and on her own social media, the Loose Women star has confessed that she needs to work hard on her locks to get them looking thicker and fuller. And one person who helps her with the process is her go-to hairdresser, Leo Bancroft. Ruth often visits Leo and his team in their Surrey salons near her home. And now, he’s launched a brand new range of hair products into Tesco so that we can all get the treatment the TV presenter enjoys! Leo, who has won a plethora of hairdressing awards, revealed on his Instagram that now has a collection of mousses, root sprays, dry shampoo and hairspray in Tesco stores up and down the country – which are all targeted towards giving your hair some extra bounce and volume. He said, ‘Super excited to announce the launch of my new signature styling range in Tesco Stores 🙌🏻❤ It’s a fantastic range and amazing value! Enjoy the gift of beautiful hair for Christmas x’. It looks as though the products will be perfect for women who suffer from thinning locks, given that they’re designed to add some lift to your hair. 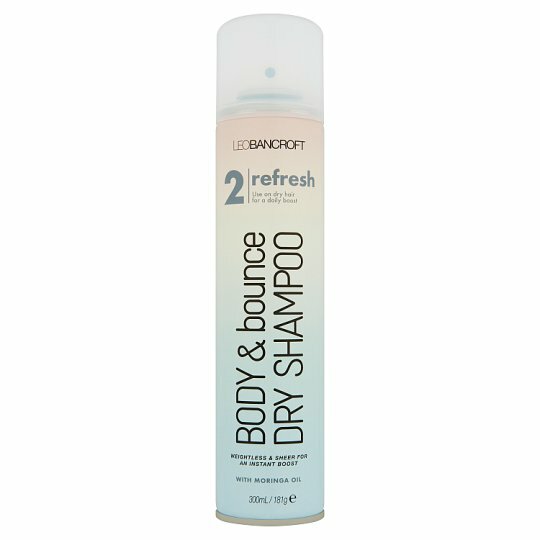 The Thicker and Full mousse promises hair to match ‘in an instant’, while the Body and Bounce dry shampoo claims to “give radiantly refreshed hair that’s full of body & bounce.” Sounds good to us! Other fans also appeared to be excited by the handy products, with one writing, ‘Need to try this mousse, my hair especially the fringe are so thin now I’m early fifties’. While another commented, ‘Ooh can’t wait to try them’. Leo’s new products all cost just £3, meaning they definitely won’t break the bank either. Customers keen to get their hands on them can buy them at Tesco online, or in shops now. Will you be purchasing some?